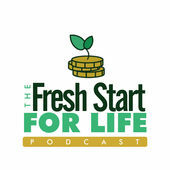 A bankruptcy attorney colleague, Don Golden, has started a new Podcast, The Fresh Start for Life, and has graciously had me on as one of his first guests. Tune in to listen to our chat where we talk about options to pay off student loan debt. Links for Itunes, Spotify, Google and Sticher at the end of this post. The impact student loan debt has on the economy. The types of student loans available to borrowers. When private loans are necessary. What makes someone ineligible for federal loans. Differences between federal and private loans. Borrower’s options when they’re delinquent or in default. Options that can help borrowers avoid default. What student loan servicers do. How the student loan debt crisis compares to the housing crisis.